1. Who are Registered Valuers? 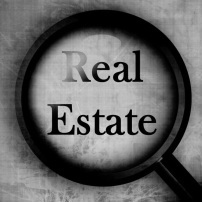 Registered Valuers are qualified real estate professionals that work out the value of land & buildings. In Malaysia, practising Registered Valuer is regulated by The Board of Valuers, Appraisers and Estate Agents Malaysia which is under the purview of Ministry of Finance, Malaysia. Registered Valuers are the only people that Banks will accept an assessment of house market value for mortgage. 3. What Does the Property Valuer Do? These are the things a Property Valuer will do as part of Valuing a House. A lot of analysis goes into a Registered Valuation Report. A Property Valuer has to be confident that the market value they work out for your house is correct, as people depend on their assessment and legally they can be held responsible if they get it wrong. The Cost for Valuation is governed by the Scale Fee set by the Seventh Schedule (Rule 48) of the Valuers, Appraisers and Estate Agents Act 1981 (Act 242) & Rules. The Scale Fee can be viewed at the following website: www.lppeh.gov.my. 1. What should I think about when I'm deciding which community I want to live in? 2. When I find the home I want, how much should I offer? Is the asking price in line with prices of similar homes in the area? Is the home in good condition or will you have to spend a substantial amount of money making it the way you want it? You should get a professional home inspection before you make your offer. How long has the home been on the market? If it's been for sale for a while, the seller may be more eager to accept a lower offer. 3. When you should start the mortgage process? The best time to look for a mortgage is before you look for a house. This enables you to determine the amount of money you can borrow and how much house price you can afford. 4. What's involved in buying a residential property? 5. What's the best way to price a house for sale? worth on the market -- called "appraising" a house's value. The most important factor that determines a house's value is recent sale prices of similar properties in the neighbourhood. 6. Should sellers repair defects before selling? Usually sellers who have the time, money and inclination will do better on the sale of their home if they fix problems before they list their home for sale. A home that is in move-in condition is one that appeals to a broad audience of prospective homebuyers. 7. What should I do to make the house show better? First, make your house look as clean and spacious as possible. Remember that people may look behind your doors - closet and crawlspace doors as well as those to the bedrooms and bathrooms. So get rid of all the clutter. remove or replace any worn-out carpets. Replace dated faucets, light fixtures, and the handles and knobs on your kitchen drawers and cabinets. Finally, as with the outside of your house, try to make it easy for prospective buyers to imagine your house as their home. Clear as much from your walls, shelves, and countertops as you can. 8. Should I make any major home improvements? Certain home improvements that are useful to almost everyone have been proven to add value and/or speed the sale of houses. These include adding central air conditioning to the heating system, building a deck or patio, basement finishing, some kitchen remodelling (updating colors on cabinets, countertops, appliances, panels, etc. ), and new floor and/or wall coverings, especially in bathrooms.